Timely initiation of ART has been considered as one of the most effective approaches to reduce the risk of HIV transmission. Early diagnosis of HIV is a crucial step to achieve the goal of early treatment [4, 5, 6]. Nevertheless, almost half of HIV-positive patients are late diagnosed worldwide . In Europe, more than one-third of patients with HIV/AIDS are late diagnosis, resulting in delayed treatment . In China, a study conducted at the national level showed that 58.8% of patients with newly diagnosed HIV from 2006 to 2012 were late diagnosed . Another study indicated that the rate of advanced HIV disease in China ranged from 35.5% to 42.1% during 2010–2014 . Compared with those with early diagnosis, the patients with late diagnosis were worse in terms of immune system at diagnosis [11, 12], and paid a higher cost for the therapy . Moreover, late diagnosed cases may cause inadvertent HIV transmission before they are aware of their HIV infection status . More importantly, late diagnosis is always associated with higher mortality and morbidity due to various opportunistic infections, especially tuberculosis, invasive bacterial, and fungal infections . A retrospective study revealed that among patients with advanced HIV disease, 57% had opportunistic infections and the majority of them were diagnosed when they developed AIDS-defined illness . The Guangxi Zhuang Autonomous Region, a province in western China, has the second highest HIV-infected reported cases in China, accounting for ~ 13% of total national HIV/AIDS cases. Even worse, the mortality among patients with HIV/AIDS in that region reached up to 34.9% by the end of 2017, which is far higher than the average of national level (24.0%). Late diagnosis is one of the important predictors of HIV/AIDS-related mortality . However, information about HIV late diagnosis in Guangxi, in addition to the influencing factors, should be further explored. To date, only a few studies reported the situation in a county or a city in Guangxi . In addition, even in other cities of mainland China, only a small number of studies have identified the factors associated with late HIV diagnosis in several cities [19, 20, 21, 22]. Reducing HIV/AIDS epidemic is extremely urgent for Guangxi through some effective targeted prevention strategies. Therefore, the present study investigated the situation of late presentation (CD4 < 350/mm3, or AIDS-defining event regardless of CD4 count) and advanced HIV disease (CD4 < 200/mm3, or AIDS-defining event regardless of CD4 count) among patients with newly diagnosed HIV/AIDS. Also, the influencing factors, including demographic or socioeconomic variables associated with late presentation and advanced HIV disease, were analyzed. Older age was also found to be a factor associated with late presentation in this study, which was similar to the results of other previous studies [36, 37]. This might be due to several reasons. 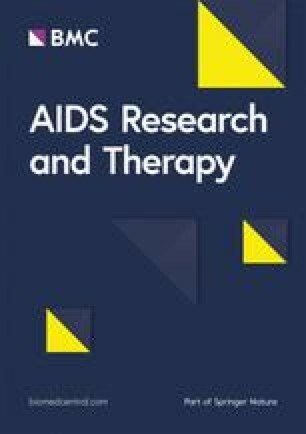 The HIV symptoms in older people were misjudged as other illnesses for being older [38, 39], or the elderly were hard to be a target of HIV prevention efforts . Psychological factors, such as depression, associated with delayed diagnosis and late testing , are more common in older adults, which may also hinder access to health care . The study indicated that older age was also associated with advanced HIV disease, which was different from the findings of some similar studies [43, 44, 45].